There's an ambitious new plan to bring more foreign workers into Australia's wild north (think Crocodile Dundee country), but there are a few requirements. If you’re planning on going to work in Australia, you may never get a better chance than this. The authorities Down Under have embarked on a wildly ambitious plan to bring more foreign employees into its Northern Territory (think Crocodile Dundee country) , but it comes with a few requirements. How can I apply to work in Australia’s NT? The Northern Territory (NT) – a sparsely-populated area of the country that’s looking to expand its horizons. Its capital is Darwin, which is home to less than 80,000 people. Nonetheless, it’s ripping good fun! 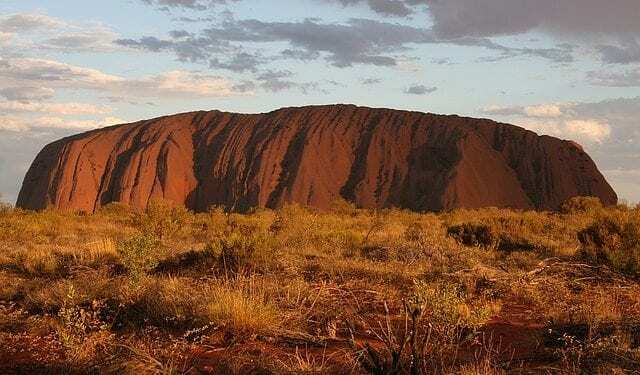 The NT is perhaps better known as the home of Uluru. Part of the requirements is to commit to working in the region for a minimum of three years. Once you’ve served that time, the idea is then to allow applicants to secure their permanent residency in the country, hoping that people will choose to stay in the Northern Territory. A link to application details appears at the bottom of this page. “Our first priority is always to fill jobs with Australians, but the immigration system can play an important role in helping to address regional skills gaps. I am pleased that we can continue to partner with the NT Government to support the skills needs of local businesses where Australian workers are not available to fill those jobs,” said Coleman. The job list ranges from highly-skilled practices (veterinary surgeons, engineers, mechanics) to more common areas of work, such and caregiving and hairdressing. It takes all sorts to build the sort of international community Coleman and his team are looking for. But is your occupation on the list? If you’ve got a touch of wanderlust and feel like setting up home in a quintessential part of Australia, the the NT is very much calling your name. You can find out more about applying to work in Australia right here.